A hearing, held Nov. 29, with the House Small Business Committee, looked at the issues with the mandate, and representatives asked for that 90-day stay to include all commodities. 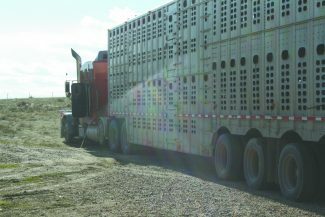 While the electronic logging device mandate may have provided a 90-day reprieve for livestock haulers, the issue is far from settled. With the current law and regulation, the mandate was scheduled to go into effect Dec. 18, 2017; since the ruling has been appealed, livestock haulers were able to get a 90-day stay, but other haulers are still looking at Dec. 18 for implementation. "Chairman Rep. Steve Chabot (R-Ohio) couldn't have picked a better title for this important hearing (Nov. 29) in the House Small Business Committee: Highway to Headache: Federal Regulations on the Small Trucking Industry. No one will bear the brunt more from regulations like the Electronic Logging Device mandate than small businesses in my district and across the country," Rep. Brian Babin, R-Texas, tweeted, following the meeting. "The recent announcement by Secretary of Transportation Elaine L. Chao of a 90-day waiver for agriculture haulers is great news, but we can and should do more by offering relief to all sectors of the trucking industry before the Dec. 18 deadline — just a week before Christmas," Babin said. During the hearing Babin said they had sent a letter to the president asking for a delay for all sectors, not just livestock haulers, until April 1, 2018. While the primary reasons for the Federal Motor Carrier Safety Administration to pursue the ELD mandate is to reduce the likelihood of drivers being able to alter or falsify their logs and to prevent motor carriers from requiring drivers to operate beyond their hours-of-service limits, the catch-all mandate has cattle haulers and even recreational livestock and horse haulers, envisioning trouble down the road. "There was no thought given to the living, breathing commodities," said Steve Hilker, with Hilker Trucking, Inc, in Cimarron, Kan. "There is no advantage (of the mandate) to livestock haulers." The difference between the ELD and other recording devices, is that the ELD syncs with a truck's engine and captures dates, times, locations, engine hours, vehicle miles and driver data. The data is simply downloaded to a computer for compliance checks. Commercial truck drivers are already restricted to a limited number of working and driving hours under current regulations. While it may not be a problem for all over-the-road haulers, livestock haulers, along with some other industries, have different commodities on board that don't fit the one-size-fits-all ruling. Current rules include an 11-hour driving limit after a driver has been off-duty 10 hours and requires 30-minute rest breaks every eight hours. A driver may not drive after 60-70 hours of consecutive duty in seven or eight days. "Anything hauled over 500 miles is where it's going to really affect us. We just don't have the ability to unload for 10 hours," Hilker said. "What happened is it's a giant one-size-fits-all mandate. Nobody was at the table saying 'What about the livestock hauler?'" During the hearing, Babin said that some companies like the ELD mandate. "If a company likes their ELD and there is a history of it, and some of these companies really do, then keep it. But, I have talked to far more of my constituents, and outside my district who drive, that they have grave concerns about the unknowns and the question marks regarding (the ELD mandate)," Babin said. Producers were well represented at the meeting. "I'd like to thank Congressman James Comer (R-Ky.) for specifically pointing out the challenges in the livestock industry, Rep. Brian Babin for his continued support and Congressman Steve Knight (R-Calif.) for acknowledging the 'mess' that is California in regard to the transportation industry and that they have listened to politicians and not the industry. He specifically said they make the rules and we have to deal with them … it's a problem that was refreshing for a politician to acknowledge and see some compassion towards," said Andrea Marks, via the United States Cattlemen's Association. Weight limits are another concern in the current ELD mandate, and those in the horse industry are wondering if they fall into the mandate. Horses are considered livestock and listed in the transportation bill language, along with show cattle, pigs and even lambs, traveling long distances. The gray area could include all of the above. The ELD mandate requires that your vehicle must be fitted with a device if your vehicle is a commercial vehicle, or if your activities fall outside the exemptions for agriculture and livestock transportation, including writing off your vehicle or making any money off of your animals. An ELD device is also required if you have a vehicle that requires a commercial driver's license because of weight. With more questions than answers on the mandate, Babin is hoping for a longer delay. Babin introduced HR 3282, the ELD Extension Act of 2017, legislation that would provide for an additional two-year delay before mandatory implementation of ELD on all American freight trucks. "While technology like ELDs have great promise, I didn't come to Washington to force those ideas on small businesses — and neither did President Trump," Babin said. The hearing followed an emergency petition sent from the Small Business in Transportation Coalition to Transportation Secretary Chao requesting an exemption to the ELD mandate for all motor carriers with fewer than 50 employees. In the letter, the SBTC argued that insisting logs be kept electronically and no longer allowing paper logs infringed on drivers' First Amendment rights to commercial free speech. The petition also argued that the wording of the rule only requires motor vehicles to be equipped with ELDs but does not specify that drivers must only use ELDs. Appearing before the committee were Monte Wiederhold, president of B.L. Reever Transport, on behalf of the Owner-Operator Independent Drivers Association; Marty DiGiacomo, owner of True Blue Transportation, testifying on behalf of the National Association of Small Trucking Companies; Stephen Pelkey, CEO of Atlas PyroVision Entertainment Group Inc., representing the American Pyrotechnics Association; and Robert Garbini, president of the National Ready Mixed Concrete Association. Rep. Steve Chabot, R-Ohio, opened the meeting by saying the purpose of the meeting was to examine how federal regulations affect small businesses in the trucking industry. "We're not looking for any kind of advantage," Wiederhold said, "like we want the rules to apply to the big guys but not to us." The general consensus from the group, "one size, does not fit all in the trucking industry." Infographic for Ranchers, Livestock Haulers and Rodeo Competitors regarding the upcoming ELD Mandate.